Our skin is a reflection of our inner Well-being. Balancing our diet and lifestyle are the key foundations to good health. Feeling good and looking good go hand in hand. Our skin actively absorbs nutrients through it, therefore always be mindful of using only natural skin care products. 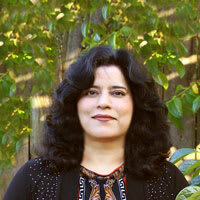 Alka Khurana is a certified holistic health practitioner. She founded “10MinutesMeditation.com” in order to share her knowledge of stress free living with everyone. She teaches techniques to awaken and use the self-healing energy for physical, mental and emotional well-being. She has been practicing Meditation and Energy Healing for more than 20 years. She is well trained as Meditation teacher, Reiki Master teacher, EFT Practitioner, Ayurveda practitioner and Energy Healer. She helps people achieve mind, body and soul wellness through the practice of these healing techniques. She also provides counseling in good nutrition, stress management, emotional health and how to deal with challenging situations. It is her sincere wish that everyone makes meditation practice an integral part of their daily life. According to her, meditation practice is the most simple and powerful self-help tool available to all of us, to be able to create a positive environment within and around.